John Enright, author of New Jerusalem News, is currently on his virtual book tour with iRead Book Tours. We are happy to feature an article here today from Mr. Enright. You can find the full schedule of his stops at iRead Book Tours. Drop in on the tour to learn still more about the book and the author. I had been absent from the U.S. mainland for more than a quarter of a century, living among, working with, and writing about the people of the South Pacific, Polynesians primarily. My return to the States when I retired, to New England, where I had visited but never lived before, proved to be a slow-motion reverse culture shock: such unique people, such strange customs. I was trained as a folklorist. This tribe deserved professional attention. The characters in New Jerusalem News all evolved from these in-the-field observations. Different fictional actors became embodiments of individual cultural traits—the patrician ideologue, the historic (gay) recluse, the nouveau riche yahoo, the eccentric wealthy aesthete, an Indian princess. Of course, characters are more than just ideological vessels. For every character I create I have to have an actual, human model in mind, or, more likely, a composite of real people. One of my favorite people in New Jerusalem News is Lydia, the aging painter tasting the freedom of her dementia. Lydia, bless her, is the emboldened hybrid doppelganger of two of my favorite lady artist friends. Sometimes, I bring back dead friends to enjoy their company again. My earlier series of detective novels, Jungle Beat, set in Samoa, likewise employed as extras and stars numerous locals. Each book occasioned a lively local round of speculation over who is that, really? Nobody sued. That is not a litigious culture. In future installments of the Dominick Chronicles—New Jerusalem News is just saga one—Dominick continues to study the people, the mores, the foibles, and the history of his fellow Americans, from whom he is as removed as de Tocqueville, in other parts of the country—upstate New York, Hawaii, the Pacific Northwest, and the great vacuous midlands. American characters are everywhere, and it is Dominick’s fate to meet them and get entangled in their peculiar problems. The characters are what stay with you when a book is done. Like friends, they should reward the time you spent with them. But the book, of course, is really about its characters. None of them are young—white-bearded men and blue-coiffed women busy with aging, dementia, and ungrateful children. Dominick strives to float above it all in a life of itinerant escape. A New England comedy of sorts, New Jerusalem News, on another level, is an extended meditation on history, identity, and what it means to drift. 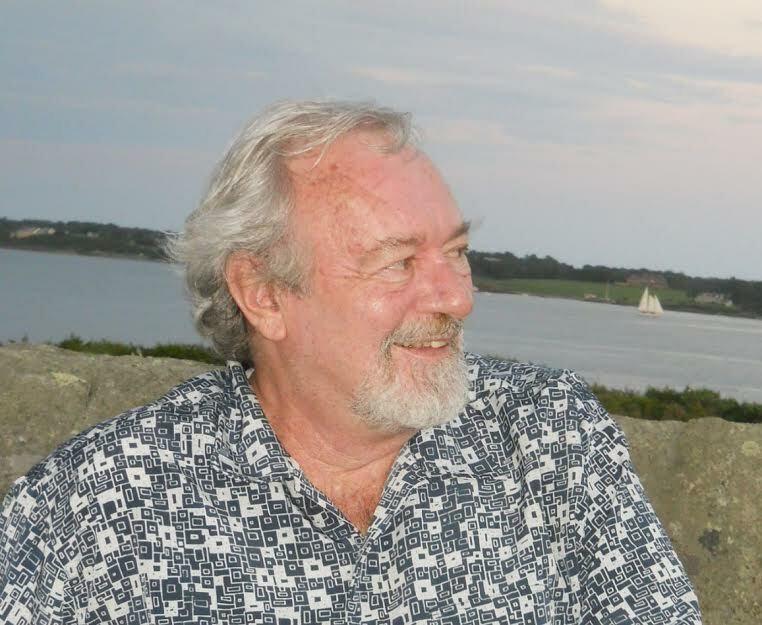 Originally from Buffalo, New York, John Enright holds a bachelor’s degree in literature from the City College of New York and a master’s degree in folklore from the University of California, Berkeley. After working in magazine journalism and book publishing, he left the U.S. to teach at the American Samoa Community College. He remained in the South Pacific for 26 years, directing environmental, cultural, and historical preservation programs and writing extensively about the islands. His acclaimed detective series, Jungle Beat (Thomas & Mercer), featuring Det. Sgt. Apelu Soifua, is set in Samoa. His collection of poems about Samoa, 14 Degrees South, won the University of the South Pacific Press’s inaugural Literature Prize for Poetry in 2011. 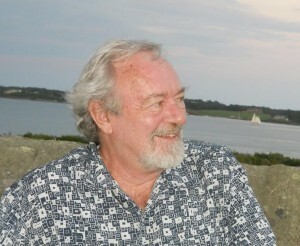 He now lives in Jamestown, Rhode Island, with his wife, ceramicist Connie Payne.